For those non-racers out there who might not understand the wording of the list item, the point was to race in a venue that I had not previously raced in. For instance, when Bloomington had a triathlon at Fairfax Beach, I raced there each year for three years. Racing in a new place is like taking a vacation to someplace you’ve never been before. It adds to the fun! The views are different; the challenges are different. 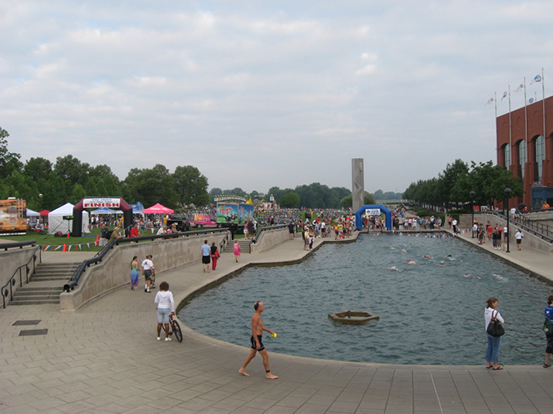 Yesterday was the Tri Indy race, held at White River State Park in downtown Indianapolis. My first win of the day was navigating my way there before 6 am and finding a place to park. Because of the river, the city streets in that area don’t run on a straight grid pattern, so when I missed my turn into the area I wanted to be in, the detour I took was pretty long. Leaving after the race was further complicated by road and/or lane closures due to the ongoing racing, but I eventually made it despite first going north by mistake. I could hear my husband and city-dwelling daughter laughing at my attempt at urban navigation. My second win was overcoming three weeks of bronchitis immediately before race day and actually making it to the starting line. The Saturday before, it was looking like I would still be coughing and hacking and suffering through the complete lack of energy caused by that strange virus I had. Rather than referring to this period as “bronchitis” (or maybe even “pneumonia”), after I finally felt that I was going to win against this stubborn virus, which wasn’t until the Thursday before the race, I took to calling it the “longest race taper ever.” Hard workouts during this time were impossible. In fact, all I did was a 3-mile run on July 7, a 40-mile bike ride on July 9, a 28-mile ride on July 19, and a distressing 850-yard swim on July 21 that was the last straw that finally sent me to visit the doctor. On Thursday and Friday before the race, I took 2- and 3-mile walks. Very lame for what should have been the strongest month of the year. 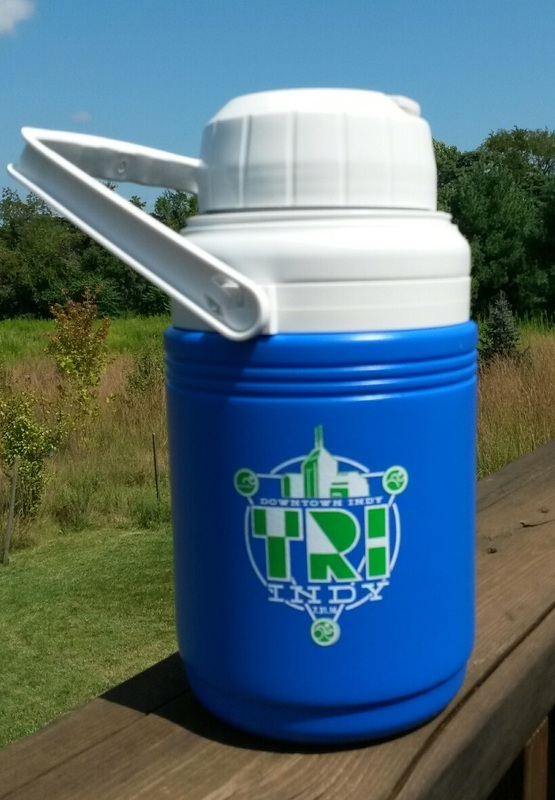 Nonetheless, with my breath back and the fatigue gone, my muscles were good and rested by the time I walked along the White River Park canal on Sunday morning, dressed in tri gear with my swim cap and goggles ready for the first leg of the triathlon. The 4-foot-deep canal is not a spot you would normally want to swim. Its sides and bottom are coated with slimy moss, and if you put your foot down, you really don’t know what you are stepping on. The swim is my weakest event, but I did fine and finished the 500 meters in just over 15 minutes, which is what I was hoping for. 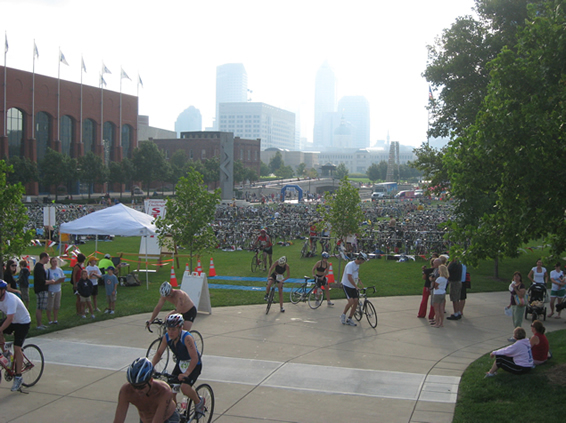 A short run to the transition area, and I hopped on my bike to ride the 12.5-mile course. This is my strongest event, and I really pushed as hard as I could, thinking that having not run for nearly a month, it wouldn’t matter if I was too tired to run, as I might be walking the last leg of the race anyway. I managed an 18.6 mile-per-hour pace and was very pleased about that, again, given the previous void in my training. On the run, I ended up with an 11:26 pace for the 5K, which is not far off from what I run down in Bloomington on the hills. Had I been in better shape, I would have expected to do better on Indianapolis’ flat ground, but under the circumstances, I was very happy with the result. And I did win! 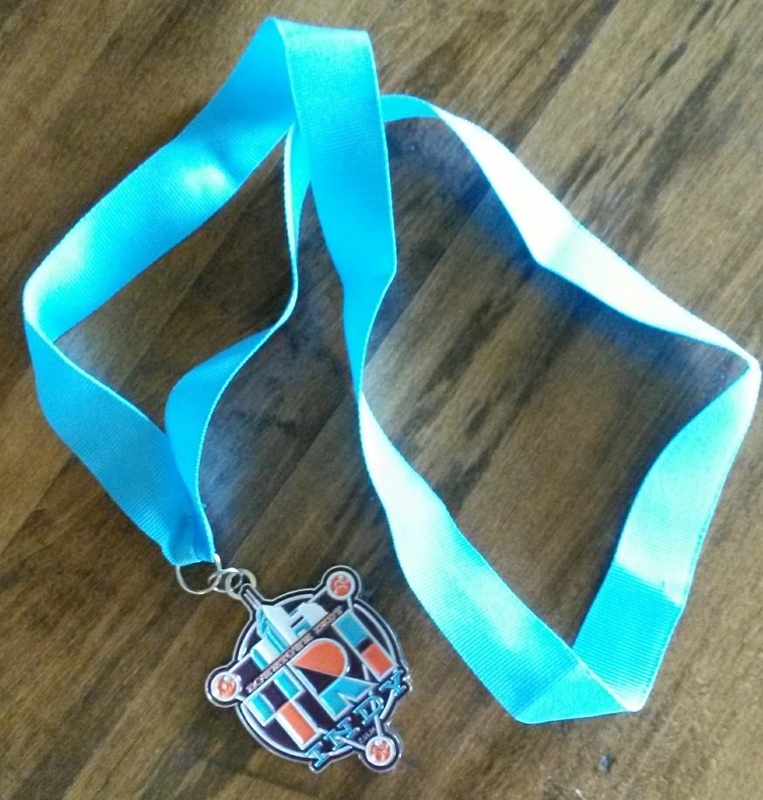 There were three women in the 60-64 age group, and with my final time of 1:35:34, I beat the other two by about 5 and 7 minutes, respectively. A photo of my prize appears below. Out of 417 total finishers, I finished 300th.Yea, me! Previous Article Previous Article: Go to a Rock Concert — Done!